The debate on whether crate training is cruel or not rages on, sometimes very heatedly, in all corners of the dog world and in all forms of media. Many people feel it’s cruel, saying no animal should be ‘caged’, grouping crate training in with the idea of animals kept at zoos. Yet breeders, vets, animal behaviorists, professional trainers, show, agility and obedience competitors the world over recommend and make use of dog crates. The key to not being cruel lies in crate training your puppy well, and knowing how and when to use a crate correctly. So what’s going on? Why are so many against it? Who’s right and who’s wrong? 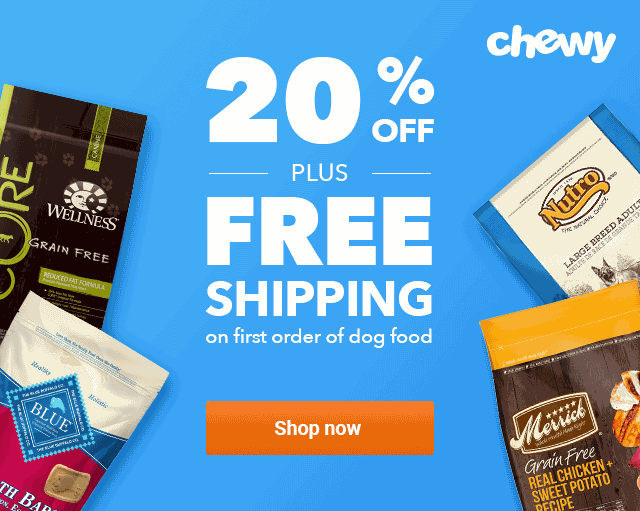 Is crate training cruel? 1 Why Do We Use A Crate In The First Place? 2 Is It Cruel To Crate A Dog or Puppy? 3 Is Using A Leash And Collar Cruel? 5 So Why Do People Say Using A Crate Is Cruel? 9 So, Do I Use Dog Crates? Why Do We Use A Crate In The First Place? Because a crate is an incredibly useful tool to use for the management and safety of our dogs. There are some benefits for us, but there are far more benefits for your dog. And one of the best reasons is because a puppy grows up making fewer mistakes and forms fewer bad habits, so there will be far less ‘crime and punishment’ in their life. They experience so much more praise and encouragement, instead of telling offs and corrections. 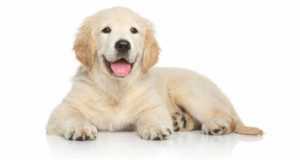 This creates a more positive and happy life for the dog and all the family. 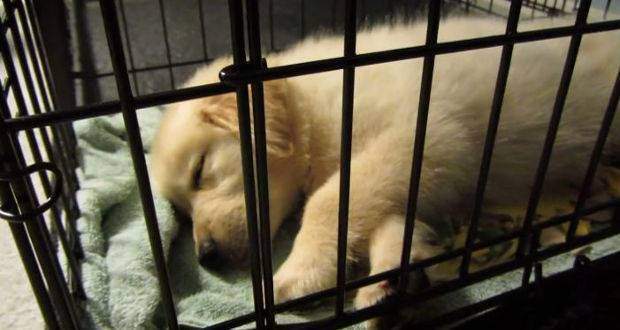 Is It Cruel To Crate A Dog or Puppy? It completely depends on how it’s used, why it’s used and how effectively a dog or puppy has been trained to accept its use. A crate itself isn’t cruel. How can it be? It’s just an inanimate tool. But like all tools, if used incorrectly it can be a tool used for cruelty. If a dog is locked away for 15 hours a day, 7 days a week for the duration of their life, then yes, this is cruel and there’s no doubt about it. But any tool can be cruel if used incorrectly. We’re all used to a leash and collar being useful for the control and safety of our dogs and those around them. Everybody uses them. They’re accepted by all and nobody complains. 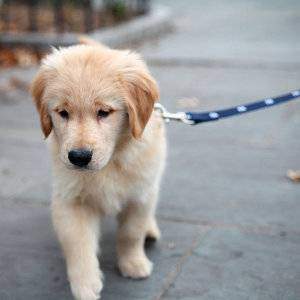 But some people use a leash and collar as tie-offs, to tether their dogs to a pole or stake outside their home and ignore and neglect them for 15 hours a day. And some drag and yank their dogs around instead of training them to walk on the leash properly. So using a collar and leash is cruel too right? Is Using A Leash And Collar Cruel? I know many people at this point are probably up in arms. Like, how can I even compare the two? I know, I’ve not completely taken leave of my senses, I’m just using it as an example, as a vehicle to show how we accept some things and argue others without really considering all aspects. You’ll find there are some surprising similarities. So let’s do a comparison of some of the more common arguments against using a crate and compare them to using a leash and collar. I’ve had my fair share of dogs of various breeds and yes, it took a little care and training to get them used to a crate. But hey, it took a little time and training to get them used to a collar and leash too. What puppy ever likes to be tethered the first few times? And if you could ask your puppy, do you think they’d be happy for you to almost permanently tie a collar around their necks and then when you felt the need, attach a line to it to restrict their freedom and make them almost completely under your control? Of course they wouldn’t be happy about it. It’s Not Natural For Any Animal To Be Put In A Cage! But hey, it’s not natural to tether one animal to another so the first has lost their freedom to choose where they can go, what they can do and at what times. One animal tied to and completely under the control of another, having to do what they’re lead and told to do. It’s not natural. Many people argue that owners use a crate when they can’t be bothered to train their dogs properly in other ways. In one sense, I agree. 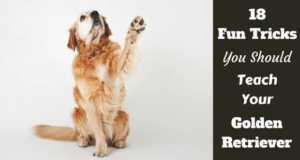 There are owners that crate their dogs because they haven’t trained them properly. But these people are misusing the crate, this is not what it’s for and these people probably shouldn’t have a dog in the first place. A crate is not an alternative for training your dog, it’s something you use to manage and keep your dog safe until they are trained. Now let’s look at a leash and collar. If you trained your dog properly you wouldn’t need them would you?! That’s right. With enough time and dedication, you could train your dog to walk to heel and follow your every command off leash, so a leash is never needed. You just have to put in the time and dedication. There’s no need to restrict their freedom and literally tie them to you. So are people using a leash and collar because they’re too lazy to train their dogs? No? So why do we use them? Until we have some off leash control of our dogs, until they’ve been socialized properly, learnt about their environment and what within it is safe and what isn’t. Until they mature and become wise to their environment and we’ve trained them how to live in it, we simply cannot guarantee their safety if we let them off leash. They can eat things they shouldn’t, run into roads, knock over cyclists, approach dangerous animals…and much more besides. And so we sometimes use a leash and collar. To manage them and keep them out of trouble. To keep them safe. And until your puppy stops chewing everything in sight, and jumping boisterously all over everything and everyone. Until they know how to behave safely in the home environment, until they’re mature and can be trusted in the home, we simply cannot guarantee their safety if we cannot supervise them. Turn your eyes away for 30 seconds and they can swallow things and cause blockages requiring surgery, they can chew electrical wires, destroy your expensive shoes, get too rough playing with a child or get on the nerves of an older, larger pet…and much more besides. And so sometimes, when we cannot properly supervise them for short periods, we use a dog crate. To manage them and keep them out of trouble. To keep them safe. When used properly, a crate is just another tool, like a collar and leash, for managing and keeping our dogs safe. Perhaps my comparison wasn’t so outlandish after all? So Why Do People Say Using A Crate Is Cruel? Because some people misuse and abuse them and it gives crates a bad name. Leaving a dog crated for many hours per day, every day, is inarguably cruel and basically animal abuse (at least it is in mine and many people’s minds). For good mental health and quality of life, dogs simply must have the freedom to move and roam around, to enjoy physical and mental stimulation. And because they’re highly social animals they absolutely need to have and feel the company and attention of their family, to feel a part of things. If they’re locked away excessively they don’t get this vital interaction and it can lead to psychological problems. Psychological problems can arise from using a crate incorrectly and excessively, locking a dog away and isolating them for extended periods of time, or using a crate as punishment. Depression, separation anxiety, hyperactivity and obsessive compulsive disorders can all develop in dogs locked away for 15 hours a day, 7 days a week, socially isolated with no mental or physical stimulation. But is this any surprise? Used correctly a dog is only ever crated a few hours per day at most, but most days far less or even not at all. 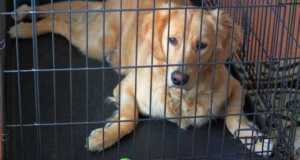 Used correctly a dog should never be crated long enough to cause them psychological issues. Not only this but it’s not a way of life and as a dog matures the need for crating becomes less and less. It’s used most during puppy-hood and adolescence, to manage them, protect them and prevent bad habits forming. But as they become wise and knowledgeable, trained and trusted how to live in a human household, the need for crating becomes less and less until by the time they’re adults it’s rarely ever used at all. They can roam the house freely when we know they won’t damage things or put themselves in danger. The argument goes that domesticated dogs descend from wolves and wolves are den animals, therefore our dogs instinctively like to den. This argument for using crates is somewhat overused and dare I say it overstated but it does have some truth to it. Wild canines do like to den during certain stages in their life, such as a mother expecting puppies or a dog that’s sick or injured. But at most other times they will rarely use a den. So do our domesticated dogs really like to den? Just watch your dog when scared of a thunderstorm, or if the house gets super busy and they want to get away, or they want to find a quiet and comfortable place to snooze. They will often choose to hide under a table, under furniture or a bed, under the stairs or squeeze into a chair that snugly fits and they can feel the arms and back on most sides. This is them looking for the safe and secure feeling of a small enclosed space. When provided, a crate is their safe and secure place. Their refuge to go to when they don’t wish to be bothered and a quiet place to have a snooze. It’s not unknown for some dogs to truly dislike or even have a phobia of crates, particularly older dogs in shelters that may have had bad experiences with previous owners misusing them. Sometimes a dog may tremble and shake when the fear is so overwhelming, some can lose control of their bodily functions they’re so afraid, and it has been known for some to try so desperately hard to escape that they can literally rip their claws out in their efforts. But when crate training your dog or puppy, the vast majority of them take to it quite happily and you will instantly see if you have a rare case of a crate-phobic dog or one that gets terrifyingly anxious. Obviously you should never, ever crate such a dog as it would be inhumane and particularly cruel to do so. In these cases if you were hoping to use a crate, you will have to find alternatives such as gating off an area of the house for them instead. But a huge majority of dogs quickly learn to love their crate after appropriate training and for the many benefits crate training offers, I would urge all to give it a go. So, Do I Use Dog Crates? Myself and my family have always used crates with our puppies and dogs very effectively. We use them sparingly, for the correct reasons, to manage and keep our dogs safe. Our dogs do not live in their crates, they spend the vast majority of their time where they should be, alongside us sharing and experiencing life. The crate is basically their bed and a place they go to when they want to relax, snooze or get away from things. The crate is always accessible, with the door pinned open and they come and go from it whenever they please…which is quite often and of their own accord. But every now and then for short periods of time, we ask our dogs, and especially puppies or adolescents, to go to their crates. And yes, we lock them in. Times when we cannot watch them and we need to know they’re safe. In just the same way you would place a baby in a crib or a playpen while you take a bath or deal with a visitor. And at these times they are very happy. Because after taking the time to crate train them properly our dogs are happy to relax in a crate with a chew toy or three. They really aren’t stressed in any way and it really isn’t cruel. As stated before, they often go there themselves and take a snooze of their own accord. No, crate training isn’t cruel and using a crate isn’t cruel. The crate is a useful tool and crate training is a way that we can help our dogs to get through the early stages of their life as easily as possible. By removing opportunities for them to damage our property or get into situations that are dangerous for themselves, we are protecting and helping them through their early years when they don’t yet know how to behave properly. And because crates are used at the vets, in kennels, and during travel, crate training prepares our dogs for the inevitable times they will have to spend in one. It’s better to train your dog to accept a crate today than to force them to use one when they’re unprepared and scared when the inevitable time arises. But with all this said, a crate can be cruel in the wrong hands. A crate can be overused or as a form of prison for punishment. This is NOT how a crate should be used. No dog should have to live a large portion of their lives locked away from their family or fear a crate as punishment. It’s not healthy and nobody should enforce this. A dog should not only have the right, but has a need to enjoy freedom and time with their families for physical and mental health reasons. A crate doesn’t take this away. Not when used correctly and sparingly. As discussed above, a crate only benefits your dog. These are the most prominent and active animal rights charities and fighters of cruelty in the world, yet they all contain advice and ‘how to guides’ for crate training. Crate training and crates aren’t cruel. Used properly they are of huge benefit for dogs and their owners. But like most things they can be misused. 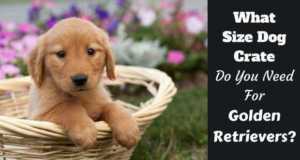 If you’re considering using a crate, or trying to answer the question: Is crate training cruel? Do your own research and make up your own mind, base it on knowledge and facts and not just listening to those who shout loudest. But above all, if you do decide to use one, educate yourself on the correct use of a crate and how to crate train your dog properly. Then there’s no chance of cruelty at all. For more information on crate training, please see our articles linked to below. In time, this series will become the ultimate guide to crate training and will contain everything a Golden owner needs to know on the subject. How To Use A Dog Crate: When Should You Crate Your Dog? Adapted with permission from an article first seen on LabradorTrainingHQ.com: Why Use a Dog Crate – and Is It Cruel to Crate a Dog? Next: Where Is The Best Place To Get A Golden Retriever? Haha…A ‘scrummage of Goldens’. Or would it be a ‘bundle of Goldens’?